This post was sponsored by Trover. All opinions, as always, are my own. Some posts on this site contain affiliate links, meaning if you book or buy something through one of these links, I may earn a small commission (at no extra cost to you!). Read the full disclosure policy here. Every so often, there are articles that come out saying what cities are the best in terms of finding vegan food and Nashville is never on it. 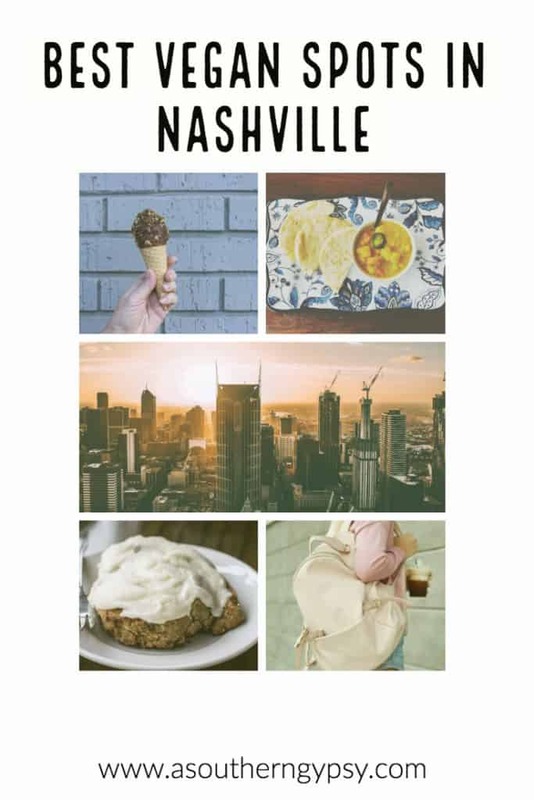 This may lead people to never even consider Nashville as a vegan destination and I’m kind of okay with that because it just means more for me! I’ve talked people’s ears off about how much growth Nashville has seen in not only the foodie circle but in the vegan foodie circle. 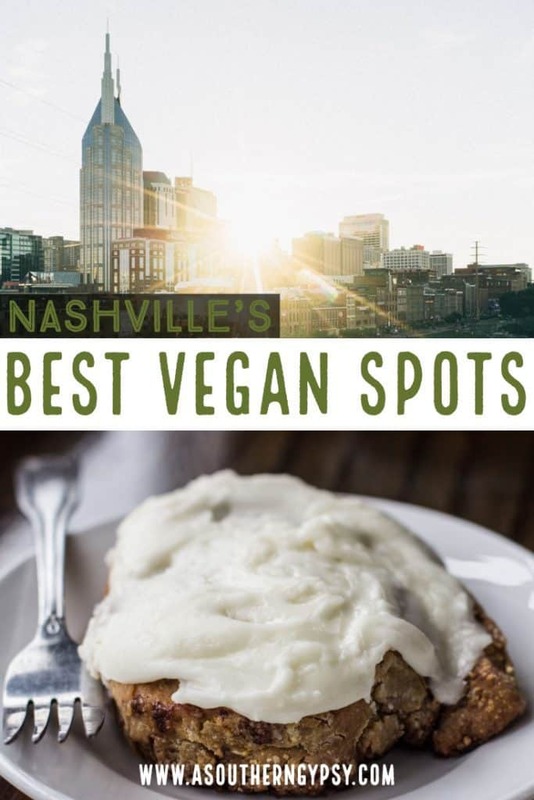 Nashville may be the hot chicken capital and the home of Goo-Goos but we have way more to offer than that and below are the best vegan spots in Nashville in my stomach’s opinion. 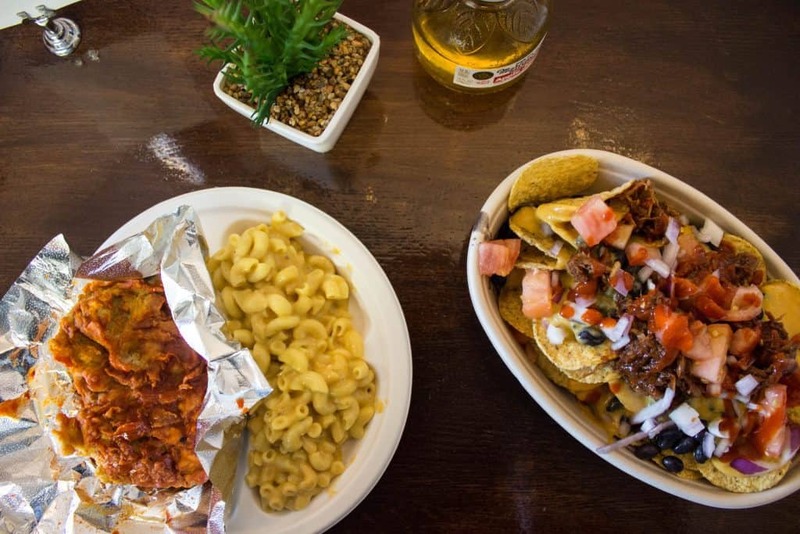 Probably my favorite vegan spot in Nashville is The Southern V. Not only have I grown as a vegan as they’ve expanded but its the best place to get your southern comfort food fix. 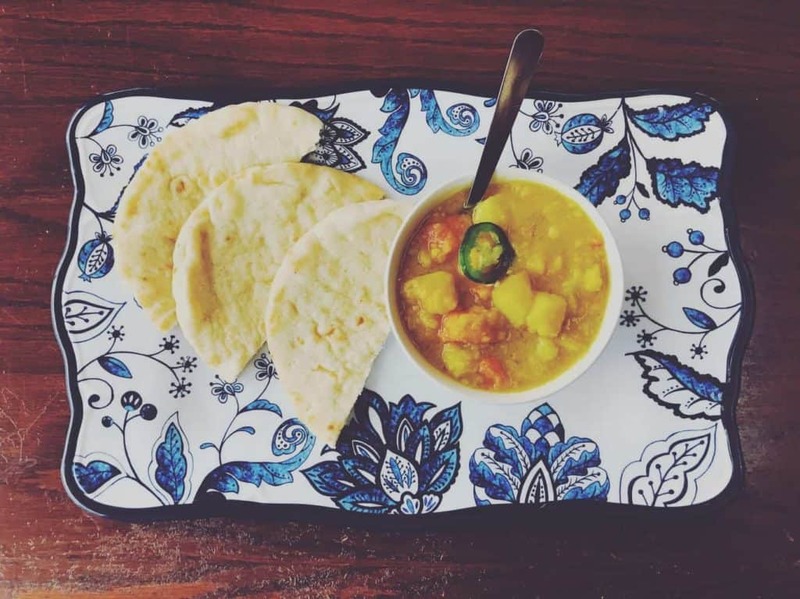 What started as a home business where you could find their baked goods at farmers markets moved to a to-go spot only open on the weekends to a full sit-down restaurant open Wednesday-Sunday in just a couple of years. 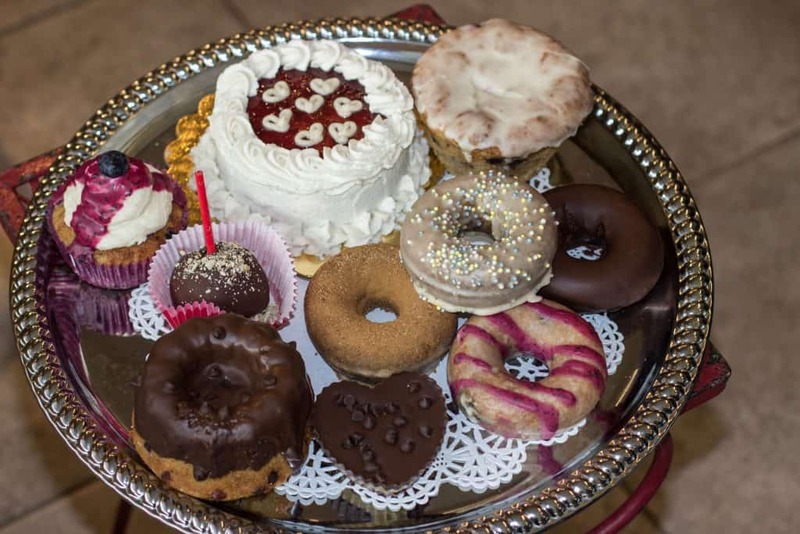 We’re spoiled by having several all-vegan bakeries and spots to find all-vegan baked goods! Vegan Vee is not only vegan but completely gluten-free and peanut-free and they offer many soy-free and nut-free items as well so it’s perfect for anyone’s eating lifestyle! They do it all without sacrificing taste too. Looking for somewhere quintessentially Nashville that you can take your Omni family and friends to but you can still eat something other than fries? The Grilled Cheeserie is perfect! It’s local to Nashville, the food is fantastic, and the vegan options are pretty good! You can build your own grilled cheese (vegan cheese) and pair it with tater tots, tomato soup, and a vegan milkshake! I promise – you’ll thank me. What to Order: sourdough bread with vegan cheese and all the veggies, tater tots, tomato soup and a milkshake! While not the best overall vegan option, I’m absolutely in love with their cinnamon rolls. The Post East offers a wide range of vegan options and baked goods and is a great place to meet a friend and grab a coffee or work on some writing or reading. Just don’t forget the cinnamon roll! Amy’s is a local gem and a little off the beaten path but if you’re craving some amazing vegan ethnic cuisine, definitely head here on a Friday night! Every other day for lunch and dinner, you’ll find vegan options on the menu but on Friday nights – it’s an all vegan buffet! What to order: it’s a buffet – get everything! Want to go to the cutest little ice cream shop with all the best vibes and have the most delicious and creamiest ice cream you’ve ever had? Head to Koko’s in East Nashville then! 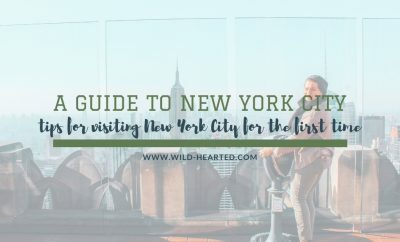 From a bicycle cart operating pop-ups to a full-blown adorable ice cream shop, you’ll fall in love with this place too! What to Order: moondust and golden milk flavors! These are just a minor glimpse of the amazing vegan spots in Nashville and I love finding new spots constantly. This will help you get started on your first (of many!) trips to Nashville to take part in what I’m assuming will be the next vegan hotspot! One of my favorite ways to find and organize new spots to try is using Trover. This is a great tool to find hand-picked spots – usually local gems – that come highly recommended. You can easily search a destination or activity and compile your own lists making it easy to pre-plan trips and also to give your own recommendations based on where you’ve traveled to. What else have I written? You can find more Nashville posts here. Would love to take my vegan nephew to Nashville for so many reasons but especially to check out these spots. I’m not but sympathetic and see the health benefits. 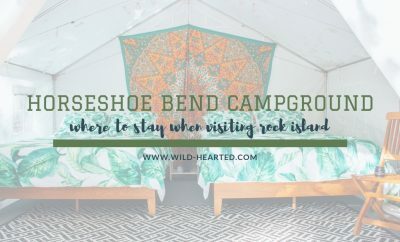 This is an amazing resource and I am pinning it for if I’m ever in Nashville. Honestly I was so close to visiting Nashville this autumn with my friend (who wanted me to accompany her on a roadtrip to meet up with an old tinder date hahaha). Well, the tinder guy fell through and we are no longer going to Nashville lol! Although to be honest I want to go to the city so badly that I may just go without my friend. I’m not a vegan but I’ve had to cut out dairy recently so this will be really helpful. It’s amazing to me just how many vegan options are becoming more and more available at so many restaurants (not just totally vegan ones) and it’s awesome! I’m not vegan, but I’ve had many vegan dishes and they tasted so yummy! I think on your list I would most like to go to The Grilled Cheeserie for a grilled cheese and tater tots and Koko’s Ice Cream because I’ve never had vegan ice cream! I love the name GRILLED CHEESERIE. I have seen some bad vegan cheese in my day, particularly with its ability to melt. An ooowy gooey melty grilled vegan cheese sandwich would be so wonderful. 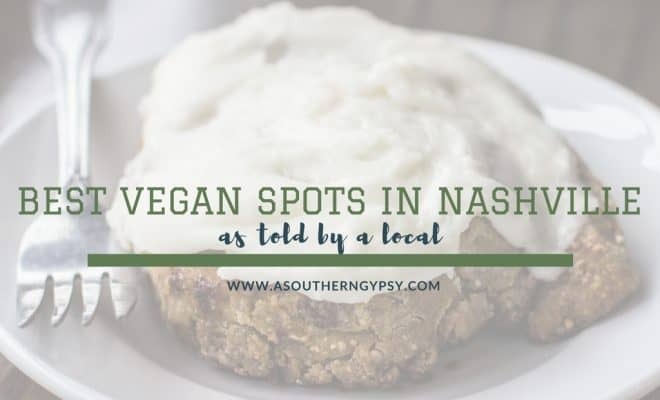 You’re right — I wouldn’t have initially thought of Nashville as a vegan destination, but you’ve changed my mind! I love Ethiopian food, so you’d find me at Amy’s Ethiopian restaurant for sure. And who wouldn’t love the Grilled Cheeserie? 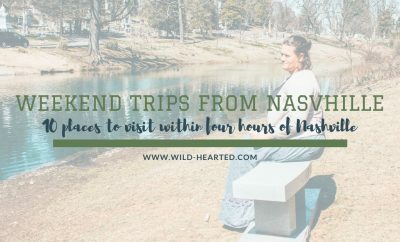 Adding all of these to my future Nashville trip list (hoping to finally get there next year!). It is amazing how many great vegan eateries there are in Nashville. It’s the first time I heard of vegan milkshake!! I am quite curious how it actually tastes – that and vegan cheese! This is a great list. I’ve had the pleasure of eating at several of these with you. My fave for sweets….Vegan Vee! I have others to check out still. Thanks Ashley! 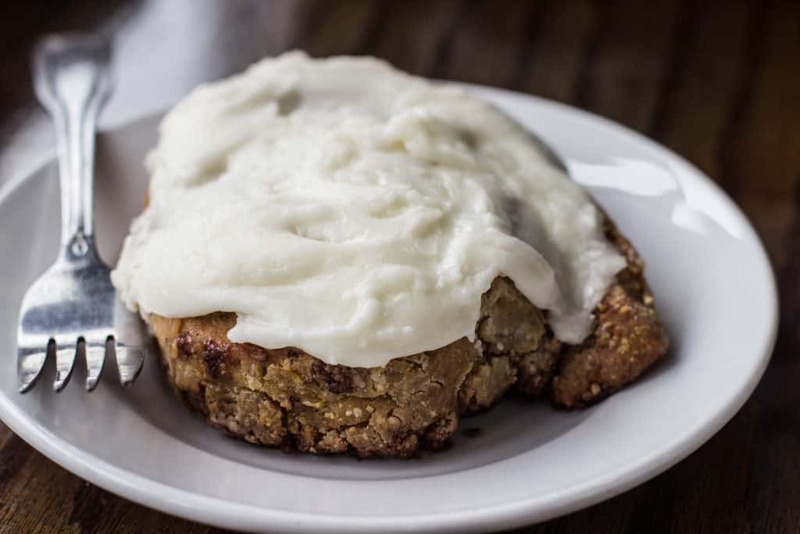 It’s great that you’ve highlighted Nashville as a vegan destination — since it’s obviously an oversight that its been left off of lists that might have alerted the vegan community to consider it for a vacation. All of the places you visited sound yummy to me, and I know from going out with vegan friends that it can be a challenge if restaurants in a city haven’t “gotten with it” so to speak. Having a good group of vegan-only restaurants is a big help to the WHOLE food culture of a city, because it means that everyone becomes more aware. All these look like great spots for vegans and non-vegans. I love Ethiopian food so it’s not a hardship for it to be vegan. Sometimes vegan food is a little too high carb for me, but places like Amy’s are perfect. I tried out an amazing vegan cream this weekend it was wonderful! I didn’t even know I loved Ethiopian food until I tried Amy’s! So good! You find such incredible places for vegans to eat. I keep sharing these with my cousin. He really should thank me. 🙂 These places look incredible! He should thank you with vegan donuts!